Management Team :: Ceapro Inc.
Stacy Prefontaine serves as the Chief Financial Officer at Ceapro. She is an accomplished global finance and accounting executive with close to two decades of experience in public company external financial reporting, corporate tax compliance and planning, and accounting practices and controls. She has led assurance and accounting services for numerous leading private and public companies assisting with their successful fund-raising ventures including offering memorandums and initial public offerings, and with their adoption of International Financial Reporting Standards. Prior to joining Ceapro, Ms. Prefontaine was a Principal at Grant Thornton LLP, one of the world's leading organizations of independent audit, tax and advisory firms, where she led assurance services for a variety of public and private organizations for the last four years. 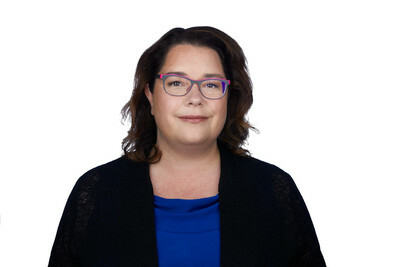 She joined Grant Thornton in 2011 when it acquired Stout & Company LLP, an Edmonton accounting and advisory firm, where Ms. Prefontaine was a Partner. 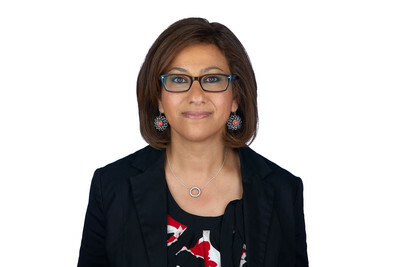 Previously, she was a manager with increasing responsibility in client service accounting for over five years at Collins Barrow Calgary LLP, one of Canada's largest associations of Chartered Accounting firms. Ms. Prefontaine earned her Bachelor of Commerce degree from the University of Alberta, Edmonton, Alberta, and her designation as Chartered Accountant from the Institute of Chartered Accountants of Alberta. Leoni DeJoya serves as the Vice President, Bioprocessing Business Unit at Ceapro. She began her career at Ceapro in 2008 as Manager, Quality Assurance and became in charge of production operations at the Ceapro’s Leduc site in 2012 to ensure continuity of supply of high quality products during the construction period for a new extraction facility in Edmonton. As Vice President of Ceapro’s Bioprocessing Business Unit integrating the Company’s manufacturing sites, she is responsible for both technical operations and account management. She is a certified quality engineer and quality management system lead auditor with over 25 years of experience in international manufacturing and QA/AC in GMP, HACCP, ISO/IEC 17025, EPA and FDA-regulated pharmaceuticals. In addition to manufacturing, she comes with extensive experience in commercial laboratories, ISO certification, petrochemical, pesticides/nematicides formulation, and food processing. She holds a Bachelor of Science in Biology, a Bachelor of Science in Chemical Engineering, a Master of Science in Environmental Engineering and Resource Management, and a Master of Science in Business Administration. She also completed the mini MBA as part of the Executive Development Program at McGill University in Montreal. Dr. Seifried serves as Director, Engineering Research & Technologies at Ceapro. Dr. Seifried is the co-inventor of the Company’s proprietary pressurized gas expanded (PGX) Technology, a novel drying technology for water soluble polymers utilizing PGX liquids. 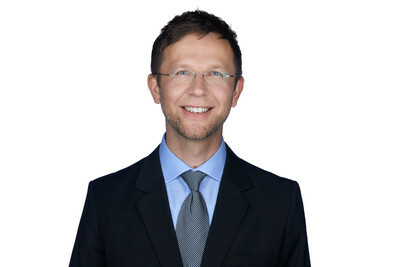 In 2010 Dr. Seifried joined Ceapro, focusing on further development and scale-up of the PGX Technology, which can generate fine structured open-porous biopolymer morphologies and exfoliated nano-composites for a wide range of applications including drug delivery, wound healing, cosmetics and nutraceuticals. His main areas of research are related to fundamental physical properties of supercritical fluids and PGX liquids, as well as their application for the development of novel sustainable processes. Dr. Seifried authored and co-authored numerous peer-reviewed papers in scientific journals, a book chapter and presented in many national and international conferences related to supercritical fluids, nano-composites, biotechnology and food engineering. 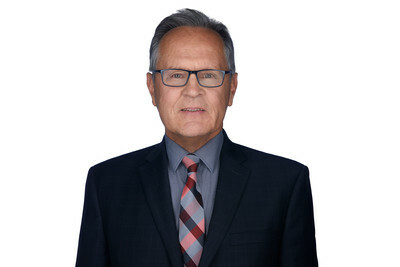 He won numerous awards in his academic and industrial career including the Alberta Innovates –Industry Associate R&D Award and the award for Scientific Achievement and Innovation from BioAlberta in 2014. He holds an M.Sc. in Chemical Engineering from Graz University of Technology in Austria and a Ph.D. in Food and Bioresource Engineering from the University of Alberta. Dr. Jacqueline Eskander Ebrahim serves as Director, Product Development & Regulatory Affairs at Ceapro. She is specialized in the extraction, purification and structural elucidation of natural drug substances of plant origin like saponins, flavonoids, polyphenolics, gallotannins, ellagitannins and condensed tannins. Over the course of her career at Ceapro, along with the R&D research team and with her work experience over 20 years, Jacqueline has implemented all her academic knowledge together with her research expertise to develop new procedures to purify and concentrate avenanthramides in oats using an innovative scale-up technology. She has authored and Co-authored over 15 publications in the International Journals of Natural products as Fitoterapia, 106 (2015) 272-279, Medicinal Chemistry Research, 23 (2014) 717-724, European Journal of Medicinal Plants, 3 (2014) 271-283, Medicinal Chemistry Research, 22 (2013) 4877-4885, Phytochemistry, 72 (2011) 946-951, Fitoterapia, 81 (2010) 371-374, Phytochemistry, 67 (2006) 1793-1799, J. Nat. Prod., 68 (2005) 832-841. Dr. Eskandergraduated from Faculty of Pharmacy-Cairo University and obtained her master’s degree in Pharmaceutical Sciences. She completed her thesis at Faculty of Pharmacy-University of Reims in France and earned her Ph.D. in Pharmacognosy/Chemistry of Natural Products and accepted the position of Lecturer of Phytochemistry at the Faculty of Pharmacy. Jacqueline was granted a Post-Doctoral Fellowship at the CNRS at University of Reims-France. Dr. Azeret Zuniga serves as Director, Quality Unity at Ceapro. She is an established Quality professional working in the pharmaceutical industry with 5 years of GMP experience at management level. Prior to Ceapro, she served as Manager, Quality Assurance (QA) at Gilead Alberta ULC where she played an integral role in many areas including QA support of Analytical Chemistry (AC) department including process and system improvements, and leading and actively participating in cross-site/cross-functional projects and continuous improvement initiatives such as the Gilead-wide laboratory investigation alignment project. Dr. Zuniga completed her BSc. in Chemistry from the University of British Columbia, her Ph.D. in Chemistry from the University of Alberta and completed her Visiting Postdoctoral Fellow at the National Research Council; Agriculture and Agri-Food Canada. She has authored numerous scientific articles. 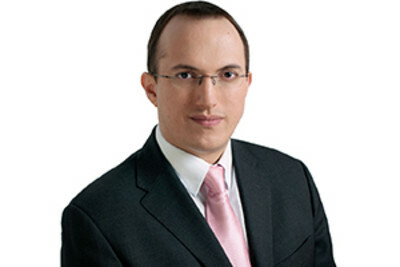 Jean-Guy Boulet is the founder and General Manager of JuventeDC Inc., which was acquired by Ceapro in October 2017. JuventeDC Inc. is the Company’s proprietary cosmeceutical line involved in the development and commercialization of anti-aging products. Prior to that, he was a Senior Strategic Marketing Director for Mallette, a Québec-based accounting firm with close to 900 employees. From 1996 to 2012, he was a partner at Zins Beauchesne and Associates, a renowned marketing consulting firm with offices in Québec City and Montréal. At the beginning of his career, Mr. Boulet was the General Manager of an organization involved in international exports with offices in Milan (Italy) and Bristol (UK). 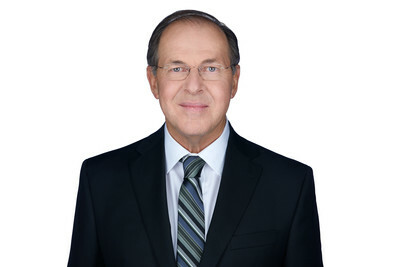 During the past 40 years, Mr. Boulet has worked on major projects involving Canadian, American and European business leaders whom were mainly CEOs and CFOs. Most of his work was related to international affairs including business partnerships, joint ventures and export strategies. As a senior consultant, he also had to work for banks and other financing organizations such as Investissement Québec in Montréal and Corp Finance in Toronto. Mr. Boulet holds a bachelor’s degree in Administration from York University in Toronto. 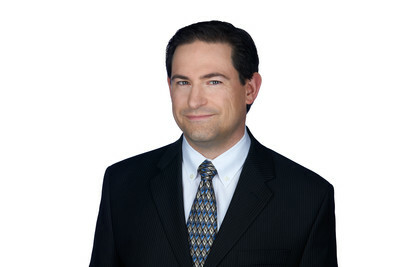 Marc Morisset serves as Director, Sales and Marketing at Ceapro. He is a seasoned executive with over fifteen years of experience in international business development & partnerships, marketing strategy and management of sales teams & distributors, exclusively in the fields of active ingredients, personal care and pharmaceuticals. Previously, he led the profitable and sustainable international expansion of European, American and Canadian fast growing small & medium sized enterprises, by securing distribution & licensing partnerships with numerous household names of the industry and building local sales & marketing teams. Mr. Morisset earned a master’s in international business development from the EM Normandie Business School, in France. Dr. Paul Moquin serves as Director, Scientific Affairs & New Business Development at Ceapro. He initially joined Ceapro as a Project Manager before leading the Applied Research and Development team. Over the last decade of his work at Ceapro, Dr. Moquin and his team have improved manufacturing processes, developed novel processes and ingredients, and was also involved in designing, building and establishing a new manufacturing plant for Ceapro in Edmonton. Prior to joining Ceapro, Dr. Moquin was a researcher and instructor at the University of Alberta where he obtained a doctorate in Bioresource and Food Engineering after studying reactions in supercritical fluid technology using specialized custom equipment that he had designed and built. Prior to conducting his graduate studies, Dr. Moquin obtained a B.Sc. in Nutrition and Food Science at the University of Alberta. During his academic training, Dr. Moquin also had the opportunity to study at the Institute of Chemical Technology and Institute of Chemical Process Fundamentals in Prague where he developed his technical research skills. His academic studies provided him with a sound training in applied life sciences and bioengineering. He also worked in the quality department of Labatt Breweries and Heritage Frozen Foods Ltd. where he developed a passion for generating sustainable processing technologies. 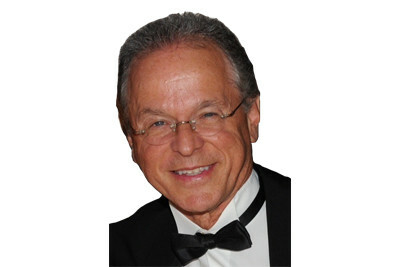 Denis Bilodeau serves as a Strategic Advisor at Ceapro especially involved in the management of clinical trials and corporate development functions. He is an established clinical, pharmaceutical and medical device expert with 35 years of experience in the public and private sectors. He currently holds executive functions for medical device and pharmaceutical enterprises, including SoundBite Medical Solutions. Over the course of his career, he has served in executive roles including Vice-President, Administration at Génome Québec and Director of Innovation at the Montreal Heart Institute. Mr. Bilodeau also served as Interim CEO of Genome Quebec. As Executive Director of the CARTaGENE project, he successfully led the recruitment of 20,000 participants and the associated BioBank. Prior to that, he held successive positions in clinical research, scientific development and marketing in reputable organizations such as Sandoz, Aventis, PAREXEL and Debiopharm taking him on international assignments.